It’s a sad fact of life that your employees can and do steal from their employer. A surveillance camera may make them twice about their actions, and in any case, is the only sure-fire way of catching them in the act and reclaiming your assets. Most insurance companies offer their clients a discount for having surveillance cameras on their property. As a business owner any savings you can make on your insurance premiums is a real plus. Having a reliable indoor and outdoor surveillance camera shows your insurance company that you’re doing all you can to protect your business from theft, and this in turn makes their job easier. Monitoring your employees isn’t just about recording theft, it also allows you to check that your employees are in fact putting in a whole shift and working on matters relating to your business. Besides monitoring just what they’re spending their time doing, you can also ascertain whether you need to put in place any measures to boost efficiency. This is particularly helpful for retail businesses who can use surveillance to determine whether they are over-staffed or under-staffed. Just a couple of minutes of video can tell you heaps about how your company is operating. It’s just as important to protect your employees as it is to protect your business. In order for your employees to feel safe you should install security cameras at entrances and exits, and in the car park. Not only will they feel a whole lot safer and more at ease arriving and leaving work in the dark, but it will also help prevent vehicles from being broken into, vandalism, and other petty crime around your store or office. A security camera can do so much more for your business than catch criminals. In essence they’re designed to secure, protect, and monitor your employees and your company. Find out how easy it is to safeguard your business and your employees by getting in touch with MA Security Guards. 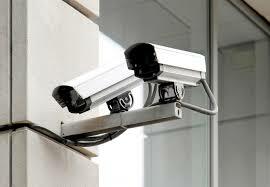 We can advise and install security cameras to put your mind at that of your employees at ease. Give us a call on (03) 9339 3500 to arrange a meeting to discuss your requirements.